In an anonymous communique the ALF claimed responsibility (ALF site) for the destruction of two trucks owned by Harlan Laboratories. 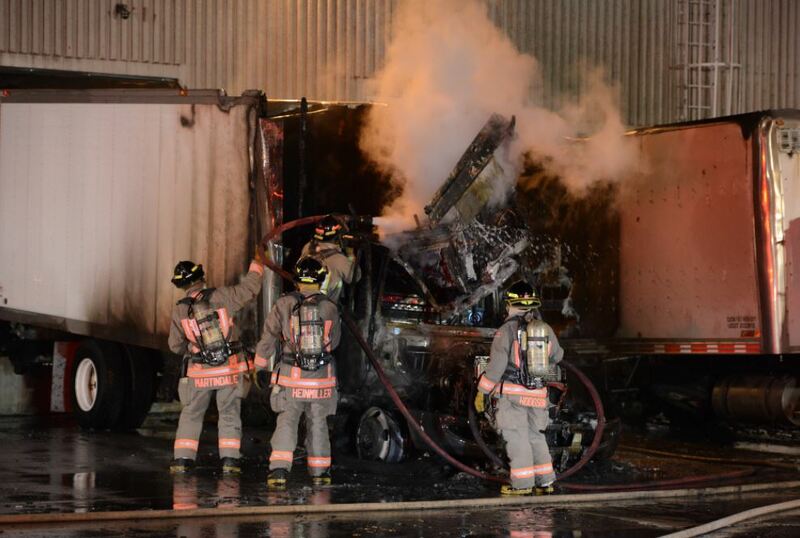 In the early morning of June 7, 2015, incendiary devices were ignited and the trucks were destroyed. Thankfully no one was injured and the fire was quickly contained by first responders. Harlan was targeted because of its corporate focus to provide laboratory customers with animals, products and services that optimize the discovery and safety of new medicines and compounds. Harlan significantly contributes to research endeavours in Canada and was recently acquired by Huntingdon Life Sciences, who has been the target of several animal rights campaigns. Ultimately this type of illegal activity is counterproductive as is evident with the ending of the Stop Huntingdon Animal Cruelty campaign and the convictions of numerous perpetrators of violence and harassment in the US and UK. It is unclear if those involved in this incident are the same as the people who released 1600 mink in St. Mary’s Ontario on May 30, 2015, or vandalized the CALAS national office in July 2014. What is clear is that this type of illegal activity is unacceptable and undermines informed discussions surround this important issue. The majority of Canadians support the ethical use of animals in science. Canadian scientists, laboratory animal professionals, institutions and companies need to resist the temptation to “circle the wagons” and shut the public out. That strategy is also counterproductive in the long term. We can use this as an opportunity to expand public outreach programs. Once presented with accurate and transparent information the public can make informed opinions. Knowledge is power and sharing that knowledge empowers the public to understand animal research. Posted on June 15, 2015 by EditorPosted in Animal Rights News, NewsTagged ALF, animal liberation, animal rights extremism, arson. Legal – Illegal ? It was legal to send millions of Jews to gas chambers for “euthanization” like it is legal in these days to torture sentient animals to death in laboratories… For Nazis, the GI’s were trespassers and they were committing property damage when tearing down the fences of concentration camps. The question whether something is legal or illegal depends in whose interest the laws were made. Whether something is legal (or not) is important, but not as important as whether it is ethical and right. Conducting humane animal research that betters human and animal lives and expands human knowledge and awareness is legal … but more importantly, it is the right and ethical thing to do. Harming animals, humans and property for the sake of a purist and indefensible philosophy like animal rights is neither legal, nor ethical. Moreover, lying by equating the experience of animals in laboratories with that of human victims of genocide is both unethical and intellectually dishonest.